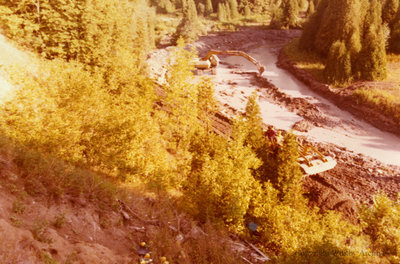 A colour photograph of the digging of the creek bed to make a pond at the north end of the valley at Cullen Gardens and Miniature Village. Cullen Gardens and Miniature Village, 1973, Photographer Unknown. Whitby Archives A2013_042_096.